The coast is where land, sea, and sky meet, bringing together three of the four ancient ‘elements’. When the weather’s fine, it is one of the most sought-after places to be. With the advent of modern forms of transport like steamboats and railways, huge numbers of people visited the coast, and in a few hours we can now fly to holiday on almost any coast in the world. In 1837, stage coaches brought around 50,000 visitors to the English coastal resort of Brighton in the whole year. 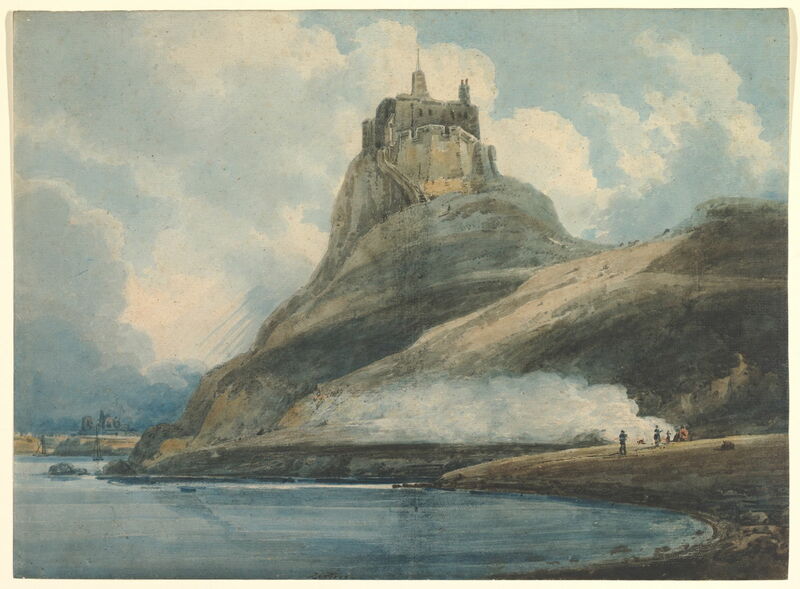 In 1850, with its new railway connection to London, more than 70,000 visitors arrived in each of the busiest weeks. For many of those who lived and worked in industrial cities, the annual visit to the coast was a high point in the calendar. When the weather is stormy, distinction between the three elements is lost, and lives put in peril. Nowhere on earth are the forces of nature so obvious and so great. With a strong wind driving the waves, those beaches which only yesterday were a site of pleasure quickly become scenes of survival, sometimes of human tragedy. This new series looks at some themes in landscape paintings of the coast, some of its greatest exponents, and its finest and most influential paintings. A vast topic – as long, tortuous, and varied as our coastlines are – I can but dip into its riches. 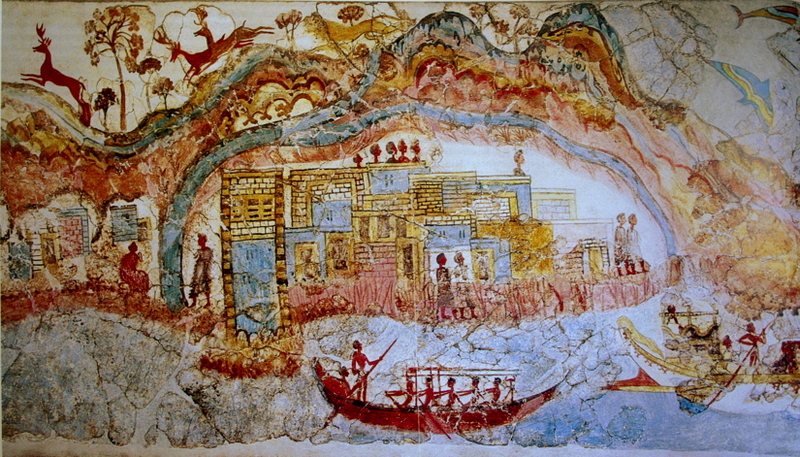 Anonymous, Flotilla Fresco (before c 1627 BC), fresco, Thera (Santorini, Greece). By pano by smial; modified by Luxo, Wikimedia Commons. 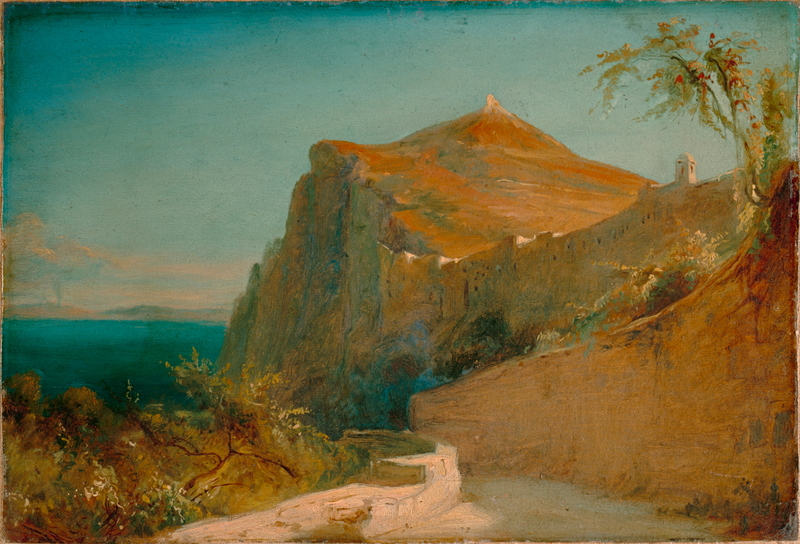 Some of the earliest landscape paintings on record show the coast of the Greek island of Santorini (Thera), which was destroyed by a huge volcanic eruption in about 1627 BC, engulfing the buildings and preserving them much in the way that Pompeii was. One of its wall paintings, the Flotilla Fresco (or Frieze), shows this panoramic view of a flotilla of boats making their way from one port to another. 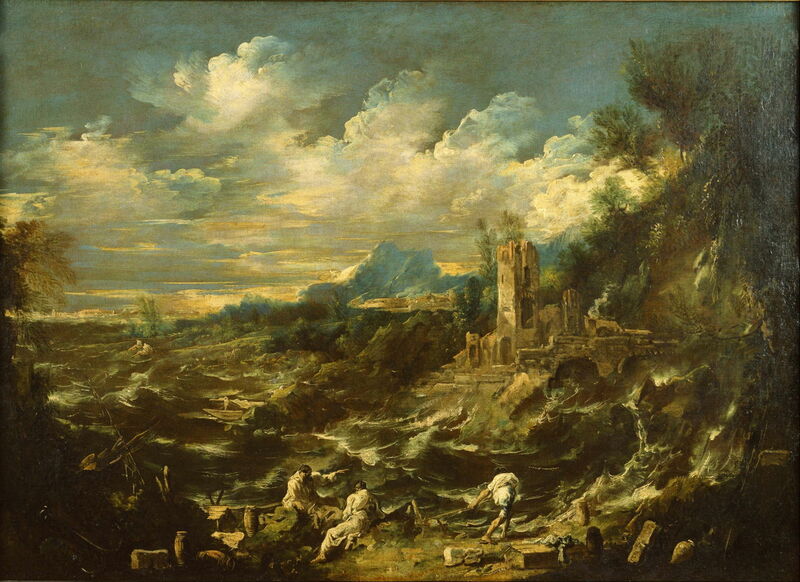 As landscape painting slowly emerged as a genre in its own right, some artists like Claude Lorrain painted idealised views of the coast, but those remained relatively unusual: Nicolas Poussin, for example, showed a little coastline in some of his landscapes, but they were incidental, not the centre of his attention. During the eighteenth century, coastal landscapes remained uncommon, but as more artists took to painting outdoors, and coastal locations became more popular places to visit, this started to change. 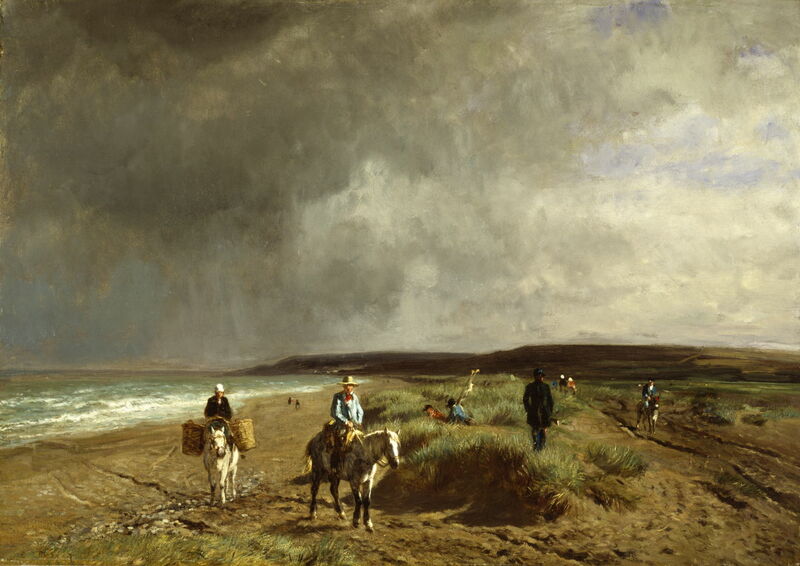 With the beginning of the nineteenth century, the popularity of landscape painting, and particularly of painting en plein air, coasts became part of the repertoire of most of the best artists. The young, and tragically short-lived, Thomas Girtin joined a growing tradition in the British Isles, where even then few places were more than a day or two’s journey from the coast. Little fishing villages in harsher climates, like Cullercoats on the north-east coast of England, became popular with painters like John Linnell, and later of course with Winslow Homer. 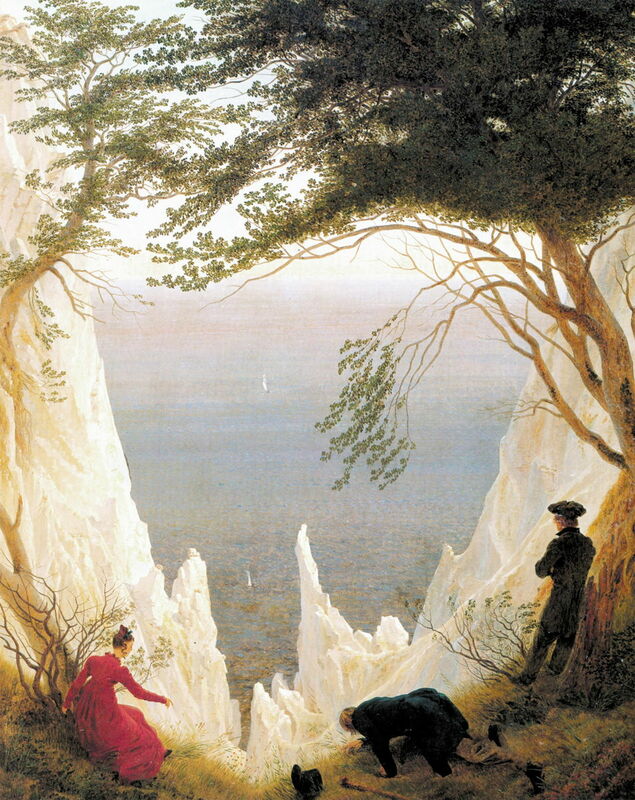 Coastal views proved a successful vehicle for Caspar David Friedrich’s puzzling pictures too. Carl Blechen and hundreds of others took to sketching coastal views in oils – here in one of the increasingly popular Mediterranean resorts, Capri. 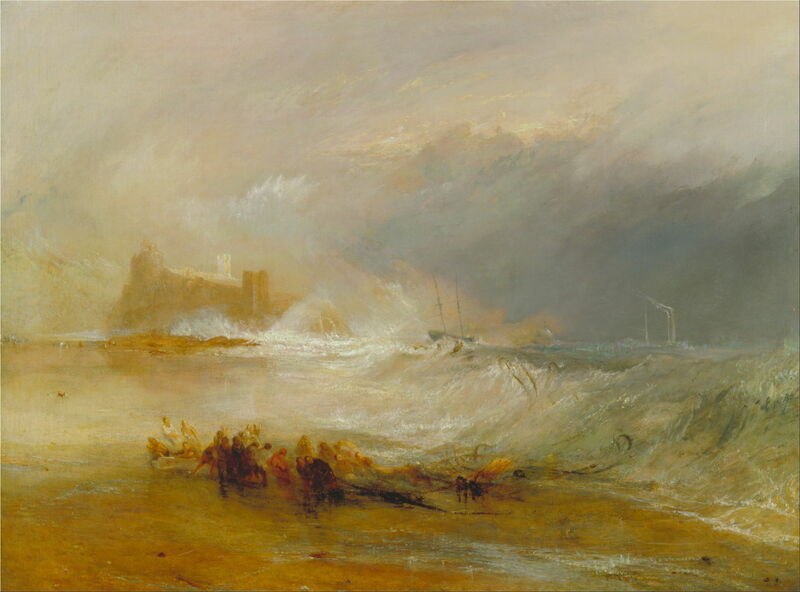 The great JMW Turner started and ended his career painting the British coast, in fair weather and foul – and not too far from Cullercoats either, in this case. The Impressionist movement grew largely from paintings of the north French coast. These were started by the likes of Richard Parkes Bonington, still in quite strict realist style. 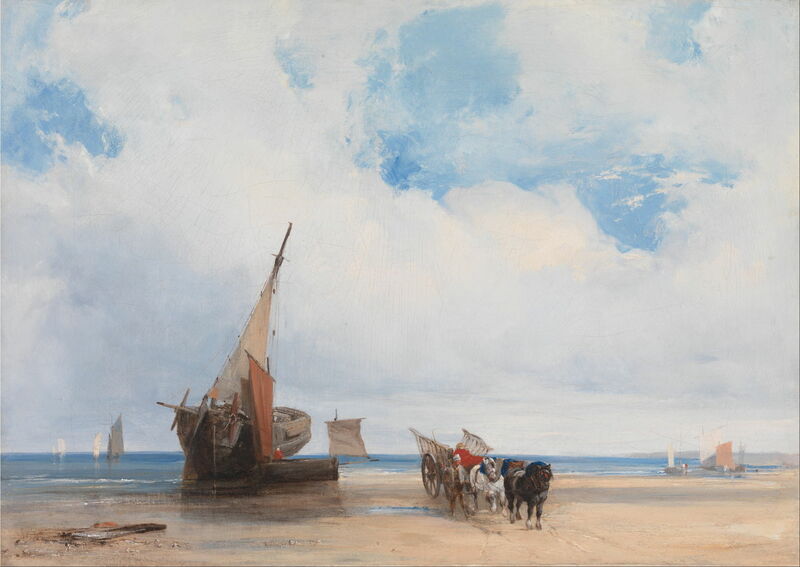 Constant Troyon (1810–1865), Coast near Villers (c 1859), oil on canvas, 67.4 x 95.7 cm, Walters Art Museum, Baltimore, MD. Wikimedia Commons. 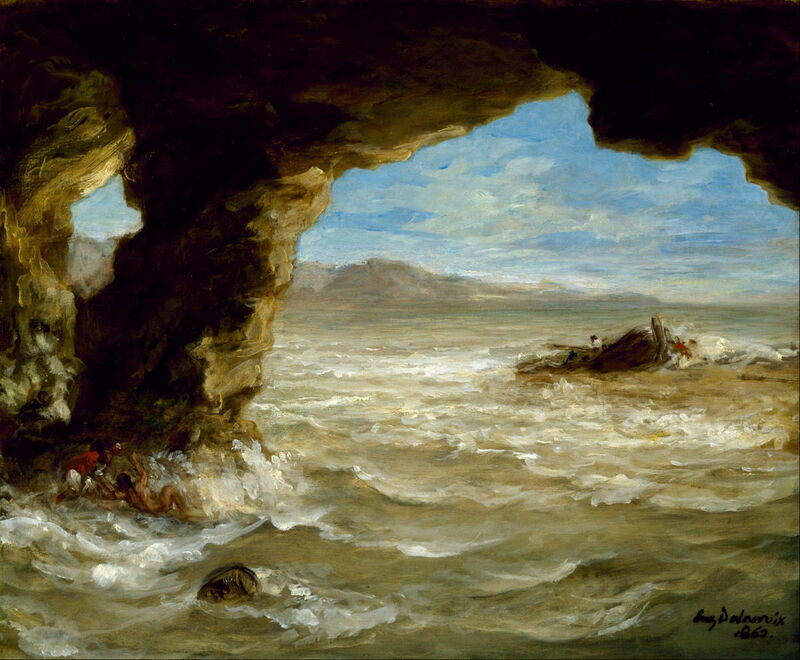 By the middle of the nineteenth century, Eugène Delacroix loosened his brushwork in his last couple of years with this stormy shipwreck on the coast. 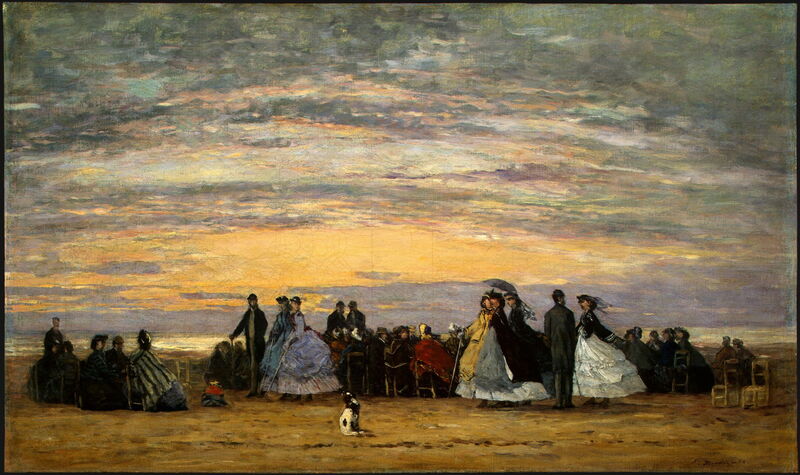 Eugène Boudin (1824–1898), The Beach at Villerville (1864), oil on canvas, 45.7 × 76.3 cm, The National Gallery of Art, Washington, DC. Wikimedia Commons. As Impressionism started to emerge from the paintings of Eugène Boudin and others, it did so most clearly in beach and other coastal views which were to prove formative for Claude Monet and others. 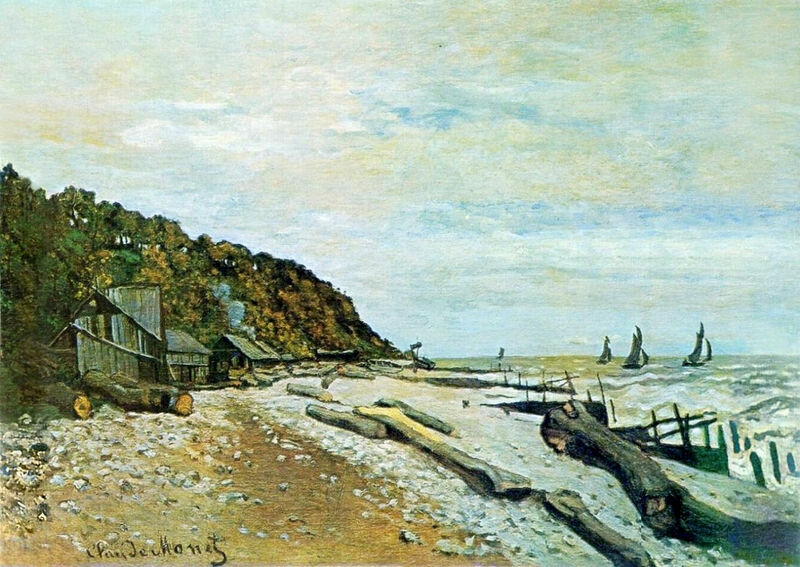 Claude Monet, Boatyard near Honfleur (1864), oil on canvas, 57.3 x 81.3 cm, Private collection. WikiArt. Some of Monet’s earliest surviving paintings show how his coastal views developed from an initial tight realism. In less than a decade, it was his radical view of the French coast which epitomised the Impressionist movement and gave it a name. 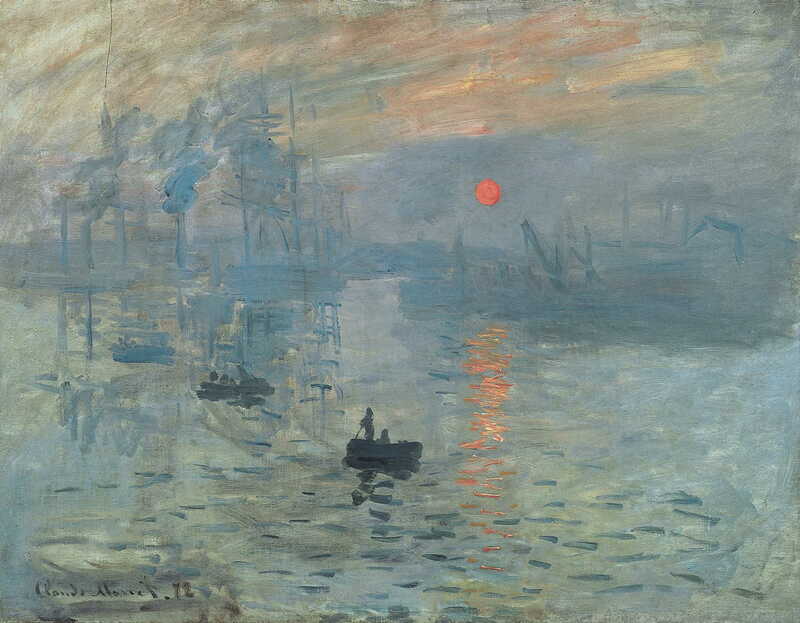 Claude Monet, Impression, Sunrise (1872), oil on canvas, 63 x 48 cm, Musée Marmottan Monet, Paris. WikiArt. All was not just Impressionism, though. 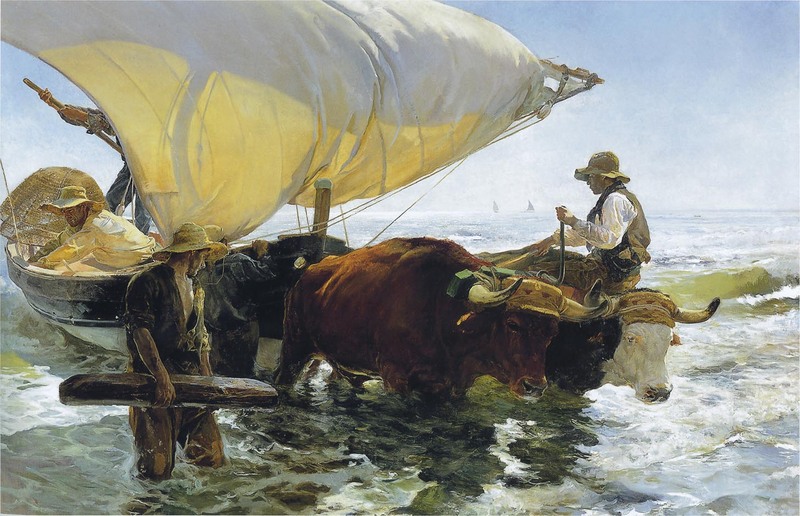 Some painters such as Joaquín Sorolla became identified with their distinctive coastal views – in Sorolla’s case, his huge canvases showing fishing boats on the beach at Valencia. 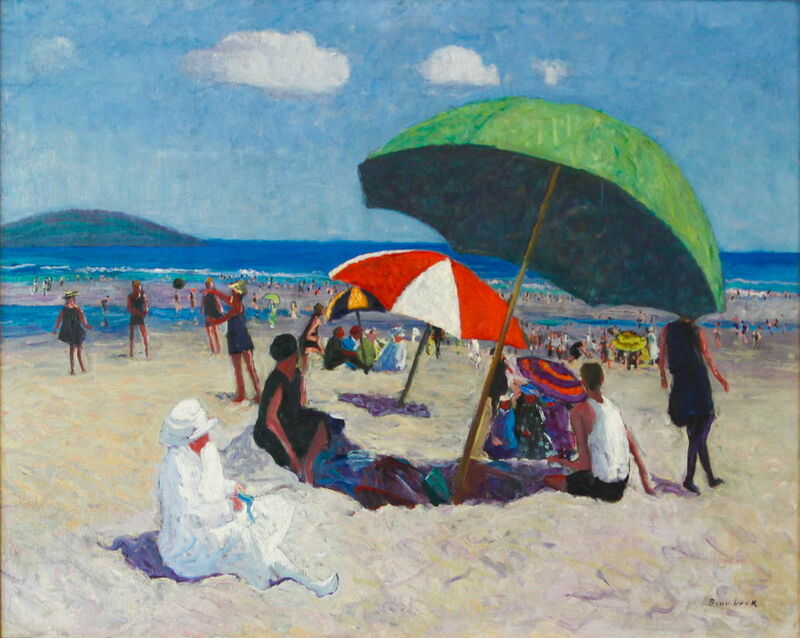 With the arrival of the twentieth century, the coasts of the south of France and elsewhere proved ideal for those who were exploiting new high-chroma colours, and increasingly bold styles. 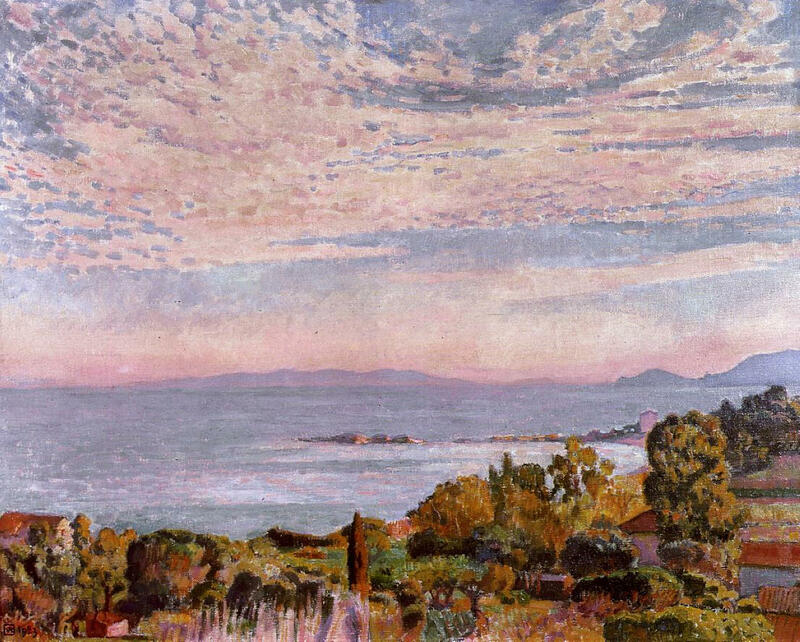 Théo van Rysselberghe was one of many European artists who found the brilliant light of the French Mediterranean coast so inspiring. Although offering very different qualities of light, views of the American East and West coasts played an important part in the evolution of painting there in the early twentieth century. This being the traditional holiday season in much of the northern hemisphere, I hope that you will travel with me to the beach, for the next article in this series. Posted in General, Painting and tagged Blechen, Bonington, Boudin, Brumback, coast, Delacroix, Friedrich, Girtin, landscape, Linnell, Magnasco, Monet, painting, Sorolla, Troyon, Turner, van Rysselberghe. Bookmark the permalink. I’ve always admired the coast because of the meeting of three elements in one place. Most people I know have visited the beach and brought lots of pictures. 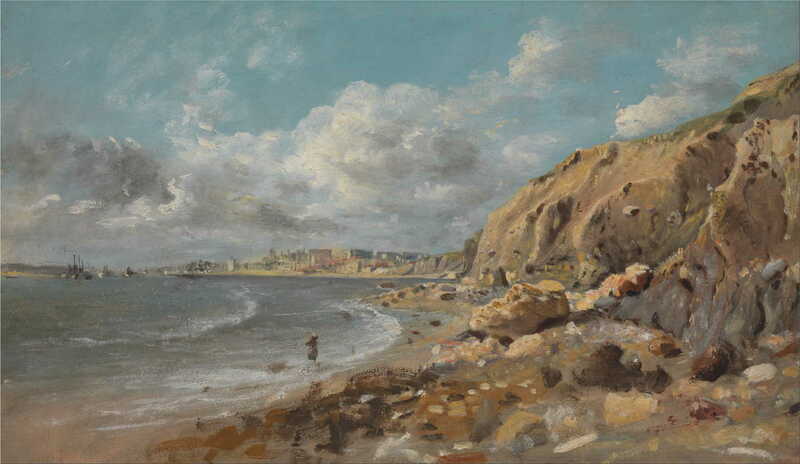 Of all the paintings I’ve seen of the coast, John Linnell’s painting is my favorite.